Secure, centralized interface for multiple Itemiser® 4DX. 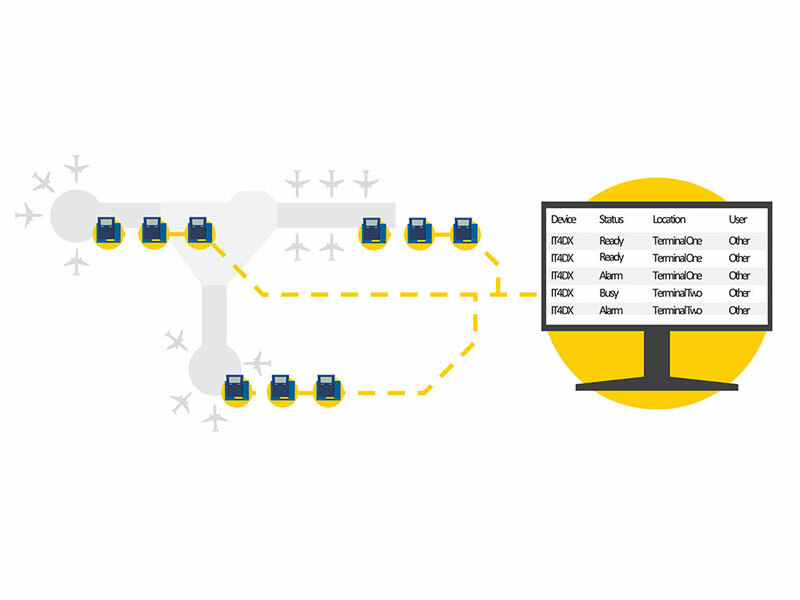 Remote Connect™ is a software application that allows users to securely monitor, analyze and command their fleet of Itemiser® 4DX through a single, easy-to use interface. The solution offers true centralized device control while further streamlining operations and reducing costs. The software enhances the capabilities of our Itemiser® 4DX trace detection systems and fulfill a major operational and security need for our customers, In this applcaition hte users have a dashboard view of all networked Itemiser® 4DX, with color-coded device status information, customizable instrument reporting, real-time system monitoring, and more. Data is securely and automatically stored for up to 30 days. Manage up to 200* Itemiser® 4DX at once. Secure access, storage and transfer of data to help protect against cyber attacks. Customizable reporting of passenger sampling statistics and alarm rates. Operator messaging and remote operational assistance/control. Remote system cleans, software upgrades, and user library controls. Automatic 30-day archiving of sample and history files. Maximizing productivity while reducing operational costs.